Dr. Le is certified by the American Board of Surgery in General Surgery and Pediatric Surgery. His clinical practice emphasizes minimally invasive approaches to all types of pediatric and neonatal surgical disorders. He specializes in general and thoracic pediatric surgery, minimally invasive and neonatal surgery, oncology and trauma. 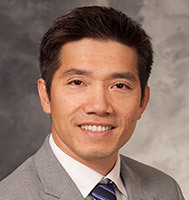 Dr. Le’s research interests focus primarily on lung development and regeneration in neonates with congenital diaphragmatic hernia and studying the effects of eicosanoids (products of essential fatty acids) on pediatric solid tumors.